Lighting final installation shall be checked as per Typical Installation Detail Drawing and Lighting & Small Power layout drawing. Also we have to check the existing inspection reports related to this activity like Cable Laying Inspection report, Cable IR/Continuity test report, Glanding & Termination inspection report. Cathodic Protection (CP) may be achieved in either of two ways. By the use of an impressed current from an electrical source, or by the use of sacrificial anodes. It is surface temperature of a piece of electrical equipment. With a temperature classification of T3, surface temp. of electrical equipment will not rise above 200 °C. Material inspection shall be done as per approved ITP, data sheet and MR/MAR. The calibration Span is defined as Upper Range Value (URV) minus Lower Range Value (LRV). For Zero-based instruments, % Span is also known as % of Full Scale (% FS). The difference between values indicated by an instrument and those that are actual. I am really overwhelmed. This refreshed and bring me back 2 life… kudos guys. I am long time Inspector and it really refresh me in some terms. Really excellent Q&A. Very informative. Thanks to the author. 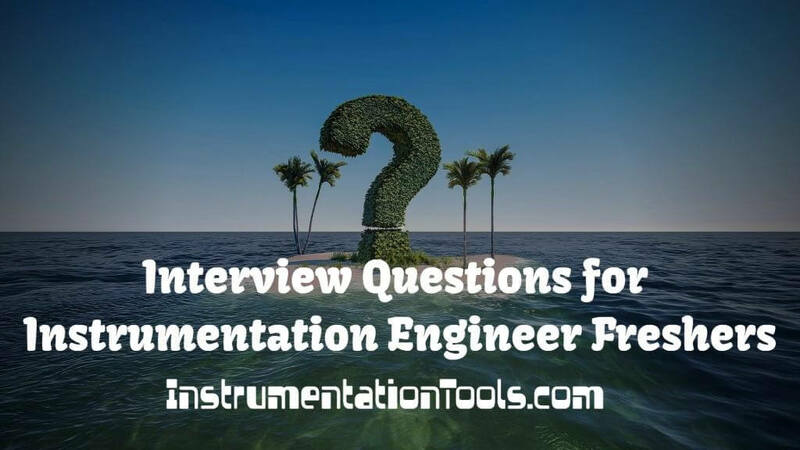 I want to learn and understand instrumentation very well, how can I go about it?